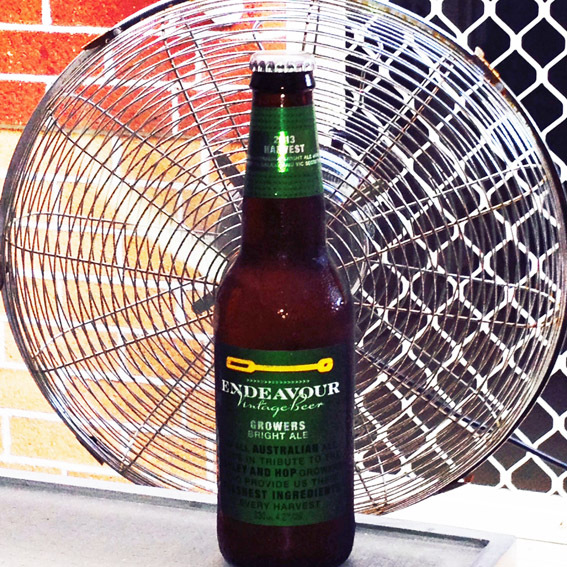 On a forty degree day in Brisbane, after a 3 1/2 hr drive, there are two ways to cool down: One is to switch on a fan, the other is to partake in liquid refreshment. I chose to do both. After 2 dark ales I thought it was time to lighten up a bit. Growers Bright Ale by Endeavour Vintage Beer is “an all Australian bright ale made in tribute to the barley and hop growers who provide us their freshest ingredients every harvest”. How very nice of them, if only all producers and manufacturers were so thoughtful the world would be a better place. What pretentious twaddle I thought. But the proof of the pudding is in the eating, or in this case drinking and this bright ale certainly lived up to its billing. 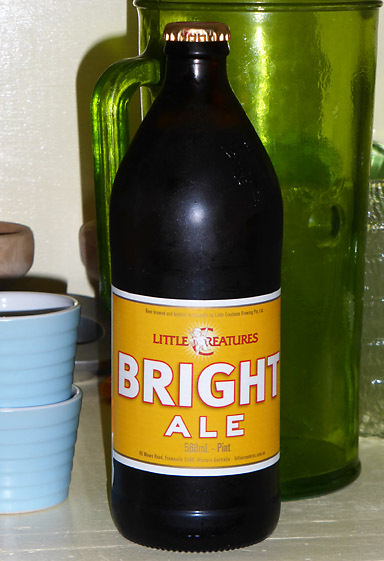 It is beautifully balanced, light and refreshing and really hits the spot. There’s a lovely hoppy flavour that enlivens the tastebuds. Young and fresh, it certainly brightened my day. Ideal for hot days, cold days and mild days. Evening drinking recommended too. Two thumbs up.